Association of Family and Conciliation Courts (AFCC) Task Force on Parenting Coordination. (2006). Guidelines for parenting coordination. Family Court Review,44, 164–181. Austin, Jr., R. B. (2006). PAS as a child against self. In R. A. Gardner, S. R. Sauber, & D. Lorandos (Eds. ), The international handbook of parental alienation syndrome, conceptual, clinical and legal considerations (pp. 56–64). Springfield, IL: Charles C. Thomas. Baker, A. J. L. (2005). Parent alienation strategies: A qualitative study of adults who experienced parental alienation as a child. American Journal of Forensic Psychology, 23(4), 41–63. Baker, A. J. L. (2006). The power of stories/stories about power: Why therapists and clients should read stories about the parental alienation syndrome. American Journal of Family Therapy, 34(3), 191–203. Baker, A. J. L. (2006). Patterns of parental alienation syndrome: A qualitative study of adults who were alienated from a parent as a child. American Journal of Family Therapy, 34(1), 63–78. Baker, A. J. L. (2007). Knowledge and attitudes about the parental alienation syndrome: A survey of custody evaluators. American Journal of Family Therapy, 35(1), 1–19. Baker, A. J. L. (2007). Adult children of parental alienation syndrome: Breaking the ties that bind. New York: W. W. Norton & Co. Baker, A. J. L. (2010). Adult recall of parental alienation in a community sample: Prevalence and associations with psychological maltreatment. Journal of Divorce & Remarriage, 51(1), 16–35. Baldwin, A., & Tabb, M. (2008). A promise to ourselves: A journey through fatherhoodand divorce. New York: St. Martin’s Press. Benedek, E. P., & Schetky, D. H. (1987). Problems in validating allegations of sexual abuse: Part 1, Factors affecting perception and recall of events. Journal of the American Academy of Child & Adolescent Psychiatry, 26(6), 912– 915. Bernet, W. (1993). False statements and the differential diagnosis of abuse allegations. Journal of American Academy of Child and Adolescent Psychiatry, 32(5), 903–910. Bernet, W. (1995). Children of divorce: A practical guide for parents, attorneys, & therapists. New York: Vantage. Bernet, W. (1997). Case study, allegations of abuse created in a single interview.Journal of American Academy of Child and Adolescent Psychiatry, 36(7), 966– 970. Bernet, W. (1998). The child and adolescent psychiatrist and the law. In J. D. Noshpitz (Ed. ), Handbook of child and adolescent psychiatry, Vol. 7 (pp. 438–467). New York: John Wiley & Sons. Bernet, W. (2002). Child custody evaluations. Child and Adolescent Psychiatric Clinics of North America, 11(4), 781–804. Brody, B. (2006a). The misdiagnosis of PAS. In R. A. Gardner, S. R. Sauber, & D. Lorandos (Eds. ), The international handbook of parental alienation syndrome, conceptual, clinical and legal considerations (pp. 209–227). Springfield, IL: Charles C. Thomas. Clawar, S. S., & Rivlin, B. V. (1991). Children held hostage: Dealing with programmedand brainwashed children. Chicago, IL: American Bar Association. Ellis, E. M. (2005). Help for the alienated parent. American Journal of Family Therapy,33(5), 415–426. Gardner, R. A. (1991a). Legal and psychotherapeutic approaches to the three types of parental alienation syndrome families: When psychiatry and law join forces. Court Review, 28(1), 14–21. Gardner, R. A. (2002d). Misinformation versus facts about the contributions of Richard A. Gardner, M.D. American Journal of Family Therapy, 30(5), 395– 416. Gardner, R. A. (2003b). The judiciary’s role in the etiology, symptom development,& treatment of the parental alienation syndrome (PAS). American Journal of Forensic Psychology, 21(1), 39–64. Gardner, R. A., Sauber, S. R., & Lorandos, D. (Eds.). (2006). The international handbook of parental alienation syndrome: Conceptual, clinical and legal considerations. Springfield, IL: Charles C. Thomas. Hamarman, S., & Bernet, W. (2000). Evaluating and reporting emotional abuse in children: Parent-based, action-based focus aids in clinical decision-making. Journal of American Academy of Child and Adolescent Psychiatry, 39(7), 928– 930. Jaffe, P., Ashbourne, D., & Mamo, A. (2010). Early identification and prevention of parent-child alienation: A framework for balancing risks and benefits of intervention. Family Court Review, 48(1), 136-152. Johnston, J. R., & Kelly, J. B. (2004). Rejoinder to Gardner’s “Commentary on Kelly and Johnston’s ‘The alienated child: A reformulation of parental alienation syndrome.’” Family Court Review, 42(4), 622–628. Johnston, J. R., & Kelly, J. B. (2004). Commentary on Walker, Brantley, & Rigsbee’s (2004) “A critical analysis of parental alienation syndrome and its admissibility in the family court.” Journal of Child Custody, 1(4), 77–89. Johnston, J. R., Walters, M. G., & Olesen, N. W. (2005). Clinical ratings of parenting capacity and Rorschach protocols of custody-disputing parents: An exploratory study. Journal of Child Custody, 2, 159–178. Johnston, J. R., Walters, M. G., & Olesen, N. W. (2005). Is it alienating parenting, role reversal or child abuse? A study of children’s rejection of a parent in child custody disputes. Journal of Emotional Abuse, 5(4), 191–218. Kelly, J. (2010). Commentary on Family bridges: Using insights from social science to reconnect parents and alienated children. Family Court Review, 48(1), 81–90. Kopetski, L. (1998). Identifying cases of parent alienation syndrome: Part I. Colorado Lawyer, 27(2), 65–68. Kopetski, L. (1998). Identifying cases of parent alienation syndrome: Part II. Colorado Lawyer, 27(3), 61–64. Kuehnle, K. (1998). Child sexual abuse evaluations: The scientist–practitioner model. Behavioral Sciences and the Law, 16(1), 5–20. Kuehnle, K., & Connell, M. (2009). The evaluation of child sexual abuse allegations: A comprehensive guide to assessment and testimony. Hoboken, NJ: John Wiley & Sons. Levy, D. L. (2006). The need for public awareness and policy makers to respond to PAS: A neglected form of child abuse. In R. A. Gardner, S. R.. Sauber, & D. Lorandos (Eds. ), The international handbook of parental alienation syndrome, conceptual, clinical and legal considerations (pp. 153–162). Springfield, IL: Charles C. Thomas. Lowenstein, L. F. (2006c). The psychological effects and treatment of parental alienation syndrome. In R. A. Gardner, S. R. Sauber, & D. Lorandos (Eds. ), The international handbook of parental alienation syndrome, conceptual, clinical and legal considerations (pp. 292–301). Springfield, IL: Charles C. Thomas. Lowenstein, L. F. (2008). Reducing the hostility. Justice of the Peace, 172(20), 322– 324. Moss, D. C. (1988). Teaching kids to hate. ABA Journal, 74, 19–20. Murray, K. (1999). When children refuse to visit parents: Is prison an appropriate remedy? Family Court Review, 37(1), 83–98. Palmer, N. R. (1988). Legal recognition of the parental alienation syndrome. American Journal of Family Therapy, 16(4), 361–363. Pearl, P. S. (1994). Emotional abuse. In J. A. Monteleone & A. E. Brodeur (Eds. ), Child maltreatment, A clinical guide and reference (pp. 259–282). St. Louis, MO: G. W. Medical Publishing. Price, J. L., & Pioske, K. S. (1994). Parental alienation syndrome: A developmental analysis of a vulnerable population. Journal of Psychosocial Nursing and Mental Health Services, 32(11), 9–12. Rand, D. C. (1997b). The spectrum of parental alienation syndrome: Part II. American Journal of Forensic Psychology, 15(4), 39–92. Rand, D. C. (in press). The spectrum of parental alienation syndrome: Part IV, Critics of parental alienation syndrome and the politics of science: Part I. American Journal of Family Therapy. Rand, D. C., & Rand, R., & Kopetski, L. (2005). The spectrum of parental alienation syndrome: Part III: The Kopetski follow-up study. American Journal of Forensic Psychology, 23(1), 15–43. Reich, W. (1949). Character analysis (3rd ed.). New York: Orgone Institute Press. Reischer, H. (1999). Review of The parental alienation syndrome: A guide for mental health and legal professionals. Journal of American Academy of Child and Adolescent Psychiatry, 27(3), 504–506. Strauss, A. C., Strauss, A. L., & Corbin, J. (2007). Basics of qualitative research: Techniques and procedures for developing grounded theory (3rd ed.). Thousand Oaks, CA: Sage. Vassiliou, D., & Cartwright, G.F. (2001). The lost parents’ perspective on parental alienation syndrome. American Journal of Family Therapy, 29(3), 181– 191. Ward, P., & Harvey, J. C. (1993). Family wars: The alienation of children. New Hampshire Bar Journal, 34(1), 30–40. Warshak, R. A. (1999). Psychological syndromes: Parental alienation syndrome. In R. Orsinger (Eds. ), Expert Witness Manual (pp. 3–27). Austin, TX: State Bar of Texas. Warshak, R. A. (2000). Remarriage as a trigger of parental alienation syndrome. American Journal of Family Therapy, 28(3), 229–241. Warshak, R. A. (2001). 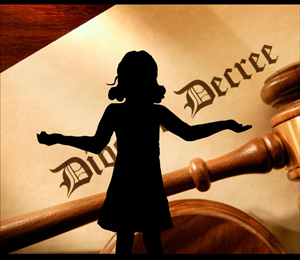 Divorce poison: Protecting the parent-child bond from a vindictive ex. New York: HarperCollins. Warshak, R. A. (2001). Current controversies regarding parental alienation syndrome. American Journal of Forensic Psychology, 19(3), 29–59. Warshak, R. A. (2002). Misdiagnosis of parental alienation syndrome. American Journal of Forensic Psychology, 20(2), 31–52. Warshak, R. A. (2003). Bringing sense to parental alienation: A look at the disputes and the evidence. Family Law Quarterly, 37(2), 273–301. Warshak, R. A. (2003). Payoffs and pitfalls of listening to children. Family Relations, 52(4), 373–384. Warshak, R. A. (2006). Social science and parental alienation: Examining the disputes and the evidence. In R. A. Gardner, S. R. Sauber, & D. Lorandos (Eds. ), The international handbook of parental alienation syndrome, conceptual, clinical and legal considerations (pp. 352–371). Springfield, IL: Charles C. Thomas. Warshak, R. A. (2010). Family Bridges: Using insights from social science to reconnect parents and alienated children. Family Court Review, 48(1), 48–80. Warshak, R. A. (2010). Alienating audiences from innovaton: The perils of polemics, ideology, & innuendo. Family Court Review, 48(1), 153–163. Warshak, R. A. (2010). Divorce poison: How to protect your family from badmouthing and brainwashing. New York: HarperPaperbacks. Warshak, R. A., & Otis, M. R. (2010). Helping alienated children with family bridges: Practice, research, & the pursuit of “humbition.” Family Court Review, 48(1), 91–97. Watson, A. S. (1969). The children of Armageddon: Problems of custody following divorce. Syracuse Law Review, 21, 55–86. Weintraub, P., & Hillman, T. (2005). Complete idiot’s guide to surviving divorce (3rd ed.). New York: Penguin Group. Weir, K. (2006). Clinical advice to courts on children’s contact with their parents following parental separation. Child and Adolescent Mental Health, 11(1), 40– 46. Westman, J. C., Cline, D. W., Swift, W. J., & Kramer, D. A. (1970). Role of child psychiatry in divorce. Archives of General Psychiatry, 23, 416–420. Willbourne, C., & Cull, L. (1997). The emerging problem of parental alienation. Family Law, 27, 807–808. Williams, R. J. (2001). Should judges close the gate on PAS and PA? Family Court Review (Special Issue: Alienated children in divorce), 39(3), 267–281. Williams, S. (2006). Book review of A handbook of divorce and custody, forensic, developmental, & clinical perspectives. Journal of American Academy of Child and Adolescent Psychiatry, 34(1), 136. Wolchik, S. A., & Karoly, P. (Eds.). (1985). Children of divorce: Empirical perspective on adjustment. Dalton, OH: Gardner Press. Wood, C. L. (1994). The parental alienation syndrome, A dangerous aura of reliability. Loyola of Los Angeles Law Review, 27(4), 1367–1415. Worenklein, A. (1992). Custody litigation and parental alienation. International Journal of Psychology, 27(3–4), 226. April is acknowledged, by most counselors and helping professionals, around the world, as National Child Abuse Prevention Month. It is a time to raise awareness about child abuse and neglect, as well as to create strong communities to support families and children. There is a form of child abuse, unfortunately, that often goes unrecognized. It is not easily detected due to the absence of physical manifestations. The abuse is psychological in nature leading to anxiety, depression, and despair – to name just a few negative sequealae. This under the radar type of abuse begs for recognition by counselors. Awareness leads to education and education leads to empathy and intervention. The abuse is known as Parental Alienation (PA). In most situations, PA occurs in high-conflict custody cases. Children are placed in the middle of parental wars and as a result of the conflict, children are forced to choose a “side.” A formal definition of parental alienation, provided by Dr. Bernet, a psychiatrist from Vanderbelt University is, “when a child allies himself or herself strongly with one parent (the preferred or favored parent) and rejects a relationship with the other parent (the alienated or rejected parent). The rejection does not have legitimate justification.” Stated another way, if a child rejects a parent because the parent has physically abused the child, this is not parental alienation. In cases of PA, the rejection of the parent is irrational. The rejection is perpetuated and primarily maintained by favored parents; they want to turn the child against the other parent. Some research indicates that the method is akin to inculcating prejudice. As one example, African-Americans throughout history have been treated as less than human. There was no justifiable reason for the overt or covert prejudice. Instead, the hatred was taught, adopted, accepted as truth, and manifested as discrimination. It took awareness, education, and legislation to shed light on the injustice. In cases of PA, one parent teaches the child to disrespect and denigrate the other parent. Minor parental flaws, which once were overlooked before the divorce, are now considered major defects. As one illustration, an eight year old may report that she hates the other parent, because the parent smacks too loud while he eats. When the child verbalizes her trivial reasons, she is rewarded by the favored parent. The child may receive a new toy, or a simple hug. If it is an adolescent, she may receive a new cell phone or a new car. Regardless of the type of reinforcement, children’s undesirable behavior toward the rejected parent is rewarded with tenacious consistency. When PA is left unchecked, unrecognized, and overlooked as a serious form of emotional abuse, children may refuse visitation. As a consequence, rejected parents are cut off from their children. They grieve the loving relationship they once had. The children feel torn. They are not permitted to openly love the rejected parent. Ideally children should feel free to love both parents without suffering guilt. Those who are unfamiliar with PA may wonder how visitation schedules could be ignored, and communication could cease to exist, especially with divorce decrees and custody plans in place. However, in cases of PA, favored parents violate orders. Favored parents may trash gifts that are mailed to the children, they may not be home for pick-up times, some will change their phone numbers, and in extreme cases, the parent flees the state or country. It should be recognized not only for children, but also acknowledged for the agony that rejected parents face. Rejected parents cope with grief, loss, shame, blame, and systemic injustice. One study, by Dr. Amy J.L. Baker (2010), who is the director of research at The Vincent J Fontana Center for Child Protection, highlights the injustice that rejected parents endure. Dr. Baker’s findings indicate that even when rejected parents had the resources to pursue legal action, such as to enforce previously ignored orders, favored parents did not respect the courts. She noted that once favored parents realized they can discard legal mandates, noncompliance became the norm. Unfortunately, this lesson is passed down to children. Consequently, with disregard for authority modeled by the favored parent, children are raised to believe they do not have to follow rules, respect adults, or obey laws. Common vernacular used for PA is “high-conflict” cases. However, high-conflict does not accurately depict PA. Certainly, there are divorces in which both parents would benefit from parenting education. And with education, the parents will eventually co-parent amicably. With guidance, parents learn to cooperate so that the child will not be placed in the middle of disputes. However, through no fault of their own, rejected parents are often categorized as high-conflict. As Dr. Warshak notes, the system often labels these parents as a “high-conflict couple,” and assumes that both contribute equally to their disputes. Common advice is to inform parents to stop fighting. This assumes that it is equally within each parent’s power to cease fire. Studies indicate it does not always take two to tango. Jaffee, Ashbourne, & Mamo (2010) describes how favored parents may not always play fair, “A minority of parents who suffer from personality and mental disorders may ignore the court and spend their waking hours finding ways to exhaust the other parent emotionally and financially.” These authors’ findings are consistent with other research. It is clear; some favored parents blatantly ignore court orders. The concept that one parent may be at fault, goes against our balanced, attempting to remain objective, therapeutic grain. If one parent ignores the court, teaches his or her child to disrespect and demean the other parent, one could infer that the rejected parent require an empathetic ear. As counselors, beneficence is an ethical imperative. To help off-set further harm requires an insightful and historical understanding of alienating nuances. Parental Alienation was depicted in the literature as early as 1949 by Wilhelm Reich; he wrote Character Analysis. Reich explained that some divorced parents enact revenge, on their ex-partners, by depriving them of a relationship with their children. In order to alienate the child from the partner, lies are told without any reality to the statements .Unfortunately, for rejected parents and their children, PA is often surrounded by controversy. According to literature, the controversy is multifaceted. Some posit the phenomenon was “invented.” Forensic psychiatrist, Dr. Richard Gardner (1985) coined and defined the term, Parental Alienation Syndrome (PAS). While Dr. Gardner coined the term, he did not invent this horrific form of abuse. To claim that he invented parental alienation is comparable to stating Freud invented anxiety. Dr. Gardner, observed children’s behavioral patterns, which resulted in eight manifestations. Depending on the severity of alienation, behaviors of PAS can be mild, moderate, or severe. He postulated that PAS is a result of one parent indoctrinating his or her child. Consequently, the child contributes by vilifying his or her rejected parent. As some dislike the medical model, the word syndrome also leads to debate. Furthermore, Dr. Gardner observed the phenomenon during the tender years presumption. Thus, it was believed that mothers were favored parents, while fathers were rejected parents. Sadly, in some circles, this contributed to gender wars. The literature is clear that an alienated parent can be male or female, as alienation is indiscriminate. Parental alienation has also been scrutinized for being simplistic as it relates to causality. Dr. Gardner suggested that target parents are innocent victims. It is easy to believe the common phrase: where there is smoke, there must be fire. That is, if a child rejects a parent some may conclude that the parent must have done something to deserve rejection. Once again, we should remember the bullied child or poor treatment of targeted ethnic groups. Certainly, this does not mean rejected parents do not contribute in some manner, but it suggests their role is unequal. Logically, if the phenomenon is denied and dismissed as worthy of clinical intervention, how can parents learn helpful responses? Without help, rejected parents contribute such as: overreacting, under reacting, or by counter rejecting. Dr. Gardner, in a balanced view, suggested that the rejected parent may have certain qualities that irritated, or temporarily alienated the child, but the parent does not deserve ongoing scorn, rejection, and in some cases to never see the parent again. The animosity goes beyond what might be expected from minor parental weakness. Vassiliou & Cartwright (2001) reported that rejected parents feel hopeless and helpless. In a sum, rejected parents believe the situation is beyond control. Unquestionably, rejected parents require support for being irrationally alienated. They also need guidance in dealing with their children’s defiant behavior, which is perpetuated and rewarded by favored parents. Rejected parents, who have lost all contact with their children, require support in dealing with such an enormous loss. Obviously, it is vital to distinguish indisputable abuse and neglect from parental alienation. Certainly, physical abuse is detestable and unacceptable. Most would agree that emotional abuse should also be unacceptable. A child or adolescent should not be taught to make false allegations, hoping for the possibility that his or her parent may “win” in court. Children should not be placed in the middle, nor do they need to hear constant denigrating remarks. A child should not be forced to choose a “side”. It should raise a red flag, when a five-year old parrots adult language using vocabulary such as alimony, or child support. A red flag should also go up, when an eight year old proudly reports, “We are going to court to obtain full custody.” Thankfully, progress has been made in providing awareness and education. Currently, Parental Alienation has over 600 citations throughout the literature. Progress has also been made in countries such as Brazil, where alienating behaviors are now illegal. April 25th is Parental Alienation Awareness Day. Last year Poland, Germany, Sweden, Canada, and the United States, just to name a few, participated on this day to help raise awareness. As counselors, we should help eradicate not only physical abuse, but we should also aid in shedding light on the undetected scars that result from emotional abuse. Counselors play a pivotal role in alleviating pain that results from irrational alienation. As a profession, we are at the forefront, when parents seek help, especially given the divorce rate. Regardless if one is in private practice, or works in an agency setting, it is likely that one will be faced with alienated child, alienated adolescent, favored parent, or rejected parent. Armed with empirical findings, counselors can help offset parental alienation before a relationship is permanently severed. The first role of the counselor is to pierce through powerful polarities. Stated another way, the media, and advocacy groups have erroneously portrayed that if one recognizes parental alienation, as a serious form of emotional abuse, they are simultaneously denying intimate partner abuse and child abuse. This polarity, for the CBT adherents, may ring an all too familiar bell – the sound of black and white thinking. To acknowledge parental alienation, as a form of coercive control, with the victim as an innocent child, does not mean that one is denying the reality of child abuse or domestic violence. In 2010, Fidler & Bala discussed narrow and polarizing perspectives. They indicated the inflexible all or none thinking, observed by alienated children and their parents, can also be seen in helping professionals. Another concern, one that often produces professional discord, is that PA is not accepted in the DSM-IV-TR. However, we should be aware of the fact that just because a disorder or phenomenon is not listed in the DSM, does not mean the problem is not real. One commonly cited example, among many, is Gille de la Tourette. It was first described in 1885; ninety-five years later, it was accepted into the DSM. Detecting signs of parental alienation is another therapeutic endeavor. As noted by Baker & Andre (2008), the counselor can aid in putting a halt to additional deterioration of the parent-child relationship. It is vital to determine if there has been a history of violence and to rule out bona fide abuse and neglect. Unfortunately, there are not any widely accepted “parental alienation tests”. The authors recommend that counselors can discriminate among possible sources for the rejection by using Dr. Gardner’s eight behavioral manifestations. The first, as Dr. Gardner described, is what is known as a campaign of denigration. A child, seemingly overnight, will claim to hate and/or fear a once loved parent. Secondly, weak, frivolous, and absurd rationalizations for the depreciation of the targeted parent are offered, convincingly too, by the child. As an illustration, a child will reject Mom or Dad, offering irrational, yet emotionally charged reasons, such as the parent folds the laundry wrong or burnt the macaroni and cheese. Third; the child will adopt a rigid lack of ambivalence. This is a key indicator that counselors should know. Rather than viewing both parents, as fallible human beings, the rejected parent is viewed with contempt, while the favored parent is viewed in an angelic light. Fourth, is known as the “Independent thinker phenomenon. Clearly, independent thought is to be prized, but in PA situations the child’s head has been inserted with falsehoods. The child asserts that his or her hatred has nothing to do with the other parent. On the contrary, alienated children will insist that the idea is by their own accord. Fifth, is an absence of guilt. Alienated children, due to negative input by the favored parent, behave guilt free. They act entitled, are defiant, and may exhibit cruel behavior. Sixth is known as, reflexive support for the favored parent. They have no interest nor are they willing to consider the rejected parents thoughts or wishes. This is the time in which rejected parents wonder why logic does not work. It appears nothing they do or say will change their child’s distorted thinking. The seventh manifestation is known as borrowed scenarios. Children often will adopt words and concepts they cannot define. As mentioned earlier, counselors should take note when a child uses adult-like language. The last manifestation is when hatred spreads; the child may not only claim to hate the rejected parent, but they may also report they no longer love grandma, grandpa, aunts, uncles, or even the family pet. In conjunction to Dr. Gardner’s eight manifestations, there are three components that are essential in detecting parental alienation. In identifying Parental Alienation, Dr. Warshak (2003) exposes three fundamental elements. First, counselors should establish if the rejection or denigration is persistent. That is, is the rejection by a parent an occasional episode, or has it turned into a hate campaign. As an example, did the parent’s separation occur six months ago, or six years ago? Second, the counselors are faced with the question: is the rejection rational? Is alienation due to the rejected parent’s behavior? Third, the rejection must be in part, a result of the favored parent’s influence. Dr. Warshak points out that at times, some who are critical of the child’s rejection, focus only on the first element. According to Dr. Warshak, the phenomenon is at work when all three elements are present. Counselors will be in a better position when they are considering parental alienation, if they keep the three elements in mind. Shortly after parents separate, an occasional negative remark by an ex-spouse is expected. However, daily doses of parental poisoning within an ear shot of a child, is another concern. While the literature varies in regards to uniform testing and adopting Dr. Gardner’s eight manifestations, there is a consensus to the signs of alienation. For starters, alienated children display all-or-nothing thinking. They rewrite history, and ignore and/or deny evidence placed before them. As an example, when shown a picture of a Disneyland vacation with the rejected parent, a picture in which the child and parent are smiling, the child will insist that they were only pretending to have a good time. Another indication is when the child’s descriptions for the rejection sounds more like scripted lines. Counselors should be attuned to adult language; language that is above age expected vocabulary. This is similar to Dr. Gardner’s description of borrowed scenarios. Alienated children not only utilize grown-up vocabulary, but they are rude, disrespectful, or even violent – without guilt. As a caveat, their defiant behavior does not extended to all settings; it is aimed directly at the rejected parent. Another sign is the child’s incongruence between words and affect. As counselors, we are on the look-out for clients that are teary-eyed, yet insist they are happy. The same goes for the alienated child due to parental brainwashing. An additional way to think about parental alienation, offered by Baker & Andre (2008), is the counselor may ask: do I believe that the child is being manipulated by one parent to reject the other parent, who is not abusive or so inadequate, as to deserve the child’s rejection? By posing this question, the counselor comes back to the three elements indicated by Dr. Warshak. Some goals for counseling include, addressing divorce related stress and correcting the child’s distorted view of his or her rejected parent. Studies indicate that in mild and moderate cases of alienation, a family systems approach is best suited. In severe cases, such as favored parents who defy court orders and refuse counseling, may require one to pursue additional court intervention. In severe cases, research indicates that temporarily suspending contact with the favored parent may be necessary. Ideally, court orders should be enforced; unfortunately, as counselors are aware, this is not always the case. Counselors can best serve rejected parents by validating their experiences, providing psycho-educational materials, teaching coping techniques, and bibliotherapy. Rejected parents may run the gamut from being treated with contempt, while others may not have had any contact with their child for years. Working with rejected parents brings counselors back to the basics – empathy. Rejected parents require an empathic ear. Emotions vary too; the counselor should be cognizant that rejected parents may display anger, as they are frequently blamed for their child’s rejection. As Dr. Warshak points out, some suggest these parents are perpetrators of some type of behavior that warrants their child’s fear, hatred, or both. He eloquently captures the source of their injustice, “the position that irrational alienation does not exist essentially means that all rejected parents deserve what they get.” In the past, a common suggestion for rejected parents was to “wait it out.” A few findings have suggested that PA is an expected reaction to divorce. Or, in other instances, it is portrayed that alienation is no cause for concern, because children “outgrow” parental alienation. Rejected parents who are waiting for time to heal all wounds, will lose years that cannot be replaced. One qualitative study, by Dr. Amy Baker (2007), indicates that adults who were alienated as children lost significant time with their rejected parents. More than half of the participants in this study had relationships that were severed 22 years or more. All participants lost at minimum, six years. One can conclude that another role of the counselor is to offer hope. Many rejected parents may develop a sense of learned helplessness. In severe cases, all attempts to stop alienation have been met with dismal failure. As described by Fidler & Bala (2010), some favored parents may be malicious, vindictive, feel above the law, and be deliberate in their actions. Unquestionably, trying to co-parent with someone who is unwilling to co-parent, contributes to a great deal of difficulty. Not only may rejected parents become angry, but they may also display anxiety and depression. Leona Kopetski (1998), who was part of an evaluation team, enlightens counselors, given the dynamics, that uncontrollable factors should be considered. She describes that rejected parents have more obvious symptoms of psychological distress than favored parents. She stated, “If psychological health is defined as the absence of internal distress or internal conflict, the favored parent appears healthier; however, this appearance is misleading.” As rejected parents are in distress, it is wise for counselors to consider the stressful context of PA. Coming to mind is the famous quote by Victor Frankl, “an abnormal reaction to an abnormal situation is normal behavior.” While PA is not the norm of divorcing families, counselors should reflect that rejected parents are anxious to restore strained or broken relationships. Other rejected parents, after years of attempting to cope, may become exhausted, withdraw, and simply throw in the towel. Literature indicates, that earlier recommendations to rejected parents, was to give the child space. That is, if the child refused to see Mom or Dad, let it be. Unfortunately, decades later, this approach failed. A review of the current standards reveals, that by giving an alienated child space, the rejected parent, although unintentionally, may strengthen the allegations made by the other parent. As an example, if the child continues to refuse visitation, the rejected parent may become weary of “forcing” the child to spend time with him or her. However, this backfires. It provides ammunition for the favored parent to solidify his or her scheming antics, “See, your mom/dad does not care if you spend time with him or her.” Some rejected parents self-initiate a cut-off, as they believe nothing they do or say will lead to reconciliation. Thus, counselors can not only offer hope for the rejected parent, but they can also suggest that the behavior of their child is not personal. The favored parent, especially in severe cases, tries to wear down the rejected parent. Counselors should recognize this sad, but true reality. The goal for the counselor is to explore areas of strength and potential resources. The client needs to gain a sense of power and control. In a sum, counselors’ can aid rejected parents in maintaining their internal compass, so that their direction will not be set off course. Unfortunately, relationships may become permanently severed. This may occur from the child, with the help of the favored parent, or the cut-off may come from the adult. As noted by Dr. Warshak (2010), some loving and well-intended parents may let go for several reasons. One reason, as previously mentioned, is that some parents may have exhausted all legal options, which in turn, may deplete financial resources. A second consideration is when a rejected parent’s ex-spouse is disturbed and that continuing legal proceedings may provoke him or her to take violent action. In cases where all ties have been severed, the counselor should consider that while the rejected parent’s child is not deceased, it is an ambiguous loss. There is no closure. Another option suggested by Dr. Baker (2006), when working with rejected parents, is to incorporate bibliotherapy. Many counselors are familiar with suggesting self-help books or other readings. Study after study reveals that in severe cases, rejected parents feel powerless to prevent alienation and that they feel alone. Additionally, research indicates they often see themselves as doubly victimized. Not only are they dealing with disbelief of their situation, but they also perceive they are misunderstood. They may think others blame them for their child’s rejection. Rejected parents may find solace by reading books about other rejected parents, as they realize they are not alone. For constructivists, one could view rejected parent’s stories as a thick description. Dr. Baker (2006) explains that reading others accounts promote empowerment and releases feelings of rage that accompanies being the victim of injustice. Others stories also allows a relational aspect, similar to groups, offering the reader a chance to step into the shoes of another. The client may identify, through the descriptions, what role, if any, they have played. According to Baker (2006), rejected parents may discover they have been passive, or that they needed to initiate legal proceedings. Furthermore, the use of bibliotherapy may enhance therapeutic discussions, as different possibilities for the future may surface – a result of the narratives. Encouragement and enlightenment may be found, especially by reading those who have overcome tremendous hardships. Reading other rejected parents surreal ordeals may offset heartache, helplessness, and hopelessness. Working with favored parents can be an obstacle. Throughout the literature, many discussions ensue regarding if the favored parent’s tactics are intentional, or unintentional. Dr. Darnall (1998) describes various levels that favored parents may act upon. One designation is known as the naïve parent, this category includes favored parents who make an occasional remark, or participate in some alienating behavior. However, naïve parents are most likely to benefit from parenting education, or voluntarily attend therapy. It is vital, that counselors reflect upon the three elements that must be present for parental alienation to exist. In cases of PA, the remarks are not occasional, but are chronic. When working with the naïve parent, counselors can offer psycho-educational materials, work on coping with divorce, co-parenting, and anger management. This group is the most receptive to the harmful effects of badmouthing. Clearly, an occasional remark differs from a consistent litany of parental put-downs. Another group, described by Darnall (1998), is those who are obsessed and are set out to purposely destroy the relationship with the other parent. This group is most likely to be court mandated. They will be resistant, especially if the goal is to heal the damaged parent-child relationship. Studies indicate this group behaves as if they are above the law. In their view, court orders are worthless – mandates apply to everyone else, but not to them. Counselors too, should be on the look-out for the methods used to turn a child against the other parent. Some will badmouth the other parent within an earshot of a child. The denigration is constant and they refuse to stop, even when informed badmouthing is harmful. Sadly, they may tell their child that the other parent does not love them, or does not want to see them. Keep in mind, this group is less likely to follow court orders; consequently, they may hide-out when it is time for the rejected parent to spend time with their child. The outcome of visitation interference is that the child will “see” that the other parent is not around. In their eyes, the lies of the favored parent are true, after all they did not “see” Mom or Dad. This provides the opportunity for the favored parent to fill the child’s head full of lies. Sure, object permanence is achieved; although out-of-sight does not equate to out-of-mind. Out-of-sight, will lead the child to believe, what is not right – that the other parent does not love them, does not want them, or perhaps, even hates them. In conjunction to damaging non-stop badmouthing, the situation can worsen. Rejected parents are known to trash gifts and intercept mail. Some too, flee the state or country. Literature indicates favored parents may struggle in accepting their divorce. They use the child as a confidant and a friend. In order for the child to cope with loyalty demands, they often have no other choice than to claim that they hate Mom or Dad too. If the child still has contact, they may be instructed to trash dinner while at the rejected parent’s home. Some may destroy property, or steal – just to name a few. Research also reveals that favored parents may have personality disorders. What approach then, should a counselor take when working with favored parents? According to Dr. Rand (1997), therapy with favored parents, can possibly make the situation worse. 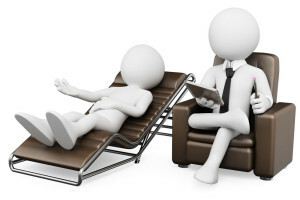 As counselors, the therapeutic alliance is paramount. However, as a caveat, favored parents utilize the very nature of therapy to their advantage. As they have sociopathic tendencies, they might try to sway the therapist to his or her “side.” Many favored parents will not attend, or will terminate early. The counselor should keep in mind, for those who attend, they desire to find additional allies to gain support for their hatred. Dr. Warshak (2010) expanded upon other findings, “family therapy, co-parenting counseling, parent education, and cognitive behavioral therapy are insufficient to modify the complex behavior of alienating parents who are unable to think beyond their own needs…” He goes on to note that psychoanalytic oriented treatment is the best approach to help these parents, but as this treatment is lengthy, by the time the parent improves their behavior, the children may be grown and have already endured years of psychic suffering. Dr. Warshak summarizes a helpful perspective when counseling alienated children and rejected parents, “restoration does not preclude prevention.” As counselors, we must first and foremost recognize parental alienation as a serious form of abuse. Any society’s standard of care regarding abused children, must be to prioritize protecting them from further abuse. Every counselor can aid in protecting children from further emotional abuse through awareness of parental alienating behaviors, and recognizing children’s irrational rejection. To participate in raising awareness, visit the Parental Alienation Awareness Organization.